Recalling the spirit of a Republican President might not be the usual approach for a speech by a Democratic party President. But that’s exactly what President Obama did this week. Because this Barack Obama Osawatomie speech in Kansas paid homage to President Theodore Roosevelt. And, of course, it also set the President’s work in the continuum of Teddy Roosevelt’s achievements. That’s a tall order for any administration. 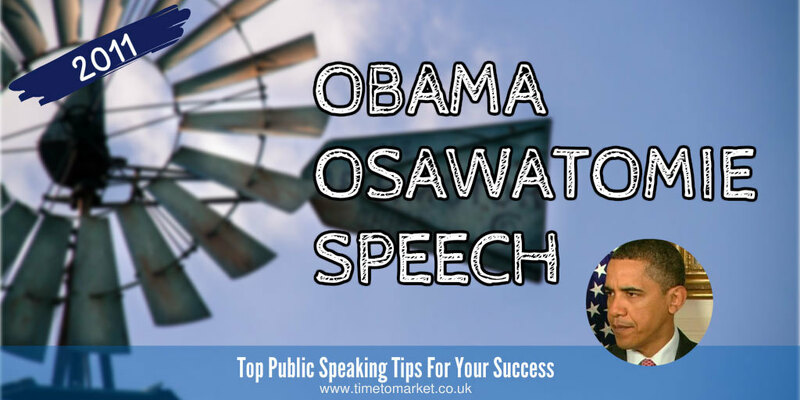 His Osawatomie speech began in timeless Obama fashion with a very polite thank you to his audience. That’s become a hallmark of his public speaking. A second hallmark is the way in which he introduces members of his audience. This week was no exception as he welcomed the local mayor, the superintendent and the head of the local school. Then, he also introduced a former State Governor and current Secretary of Health and Human Services. With the pleasantries complete the President then re-affirmed his strong family connections to Kansas. So, he confirmed the abiding spirit of Kansans and Americans everywhere over the span of history. At this stage his Osawatomie speech dwelt on current financial difficulties before he dived into a political history lesson. And with the span of this lesson he took in the Great Depression first. But, then he reached further back to President Theodore Roosevelt. This made for interesting topicality and a sense of the rich continuum of American life. But it wasn’t firebrand rhetoric. The race we want to win, the race we can win is a race to the top–the race for good jobs that pay well and offer middle-class security. And in the week that Herman Cain faced criticism for using a song lyric by Donna Summer from Pokemon: The Movie 2000 in his Pokemon speech three months ago, the President came close to mimicking Carly Simon from the 1977 James Bond film The Spy who Loved Me. The world is shifting to an innovation economy and nobody does innovation better than America. Nobody does it better. (Applause.) No one has better colleges. Nobody has better universities. Nobody has a greater diversity of talent and ingenuity. No one’s workers or entrepreneurs are more driven or more daring. His audience remained appreciative throughout the speech. They were animated and responsive. No more so than when the President’s flights of rhetorical fancy really got going. Others, perhaps a little unkindly, might choose to dwell on the obvious inconsistency between man of action Teddy Roosevelt and President Obama. The span of history will, no doubt, be the true judge of that. Beyond flights of fancy, you can always uncover fresh insights into your own public speaking with our series of public speaking tips. And with more than 100 tips for speakers and presenters, there’s something for everyone. 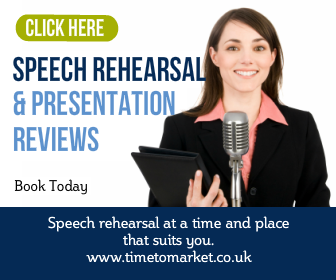 Plus, when you feel the need to get your own public speaking skills into gear, then we can help. 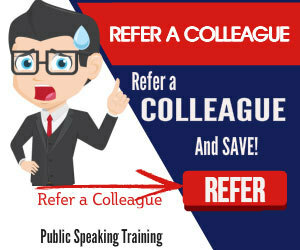 Because a well-timed public speaking course will always achieve results.